The way the government is handling the cryptocurrency mania shows that policymakers in the country are not prepared to catch up with - let alone plot a course in - the fast-changing digital economy. The recent flip-flop over the proposal to shut down cybercurrency exchanges was a case in point. The one-day commotion started with a bombshell announcement by Justice Minister Park Sang Ki that his ministry would seek legislation to shut down all the virtual currency exchanges in the country. It would have been strange if the announcement had not battered the already highly volatile market. The prices of major virtual currencies such as bitcoin plunged by about 25 per cent, as panicky investors dumped them. The announcement angered investors - their number in the country is now estimated at three million - and hordes of them rushed to the website of the presidential office Cheong Wa Dae, which has become a popular place for public petitions since President Moon Jae In took office. As the number of online petitioners rapidly grew, an embarrassed Cheong Wa Dae spokesman reversed Mr Park's announcement. The spokesman said shutting down the exchanges was "only one of the options" being considered by the ministry, but that it was not the government's final decision. Calm returned to the market. The one-day episode, however, showed how inept and unprepared our government is in dealing with what has become a potentially explosive issue. The Korean cryptocurrency market is abnormal in many respects. The crypto craze drew about three million investors, including teenagers, and South Korea accounts for 20 per cent to 25 per cent of the global transactions of cybermoney. Local prices of major cryptocurrencies are about 30 per cent higher than those in international markets. There is no doubt that this is a speculative bubble, which could burst at any time. What's the truth? Is bitcoin a valuable little asset that will keep on hugely increasing in value or is it part of a grand swindle by greedy and smooth-talking punters? The bitcoin saga had an inconspicuous start almost a decade ago when a faceless proponent said to be named Satoshi Nakamoto propounded in a financial treatise the introduction of an electronic cryptographic cash system to replace the present global financial system of every country; all transactions being carried out through bitcoin. Such an enormous change would have seen government-backed currencies such as the US greenback, British pound, euro and so on all subsumed and replaced by transactions limited to bitcoin. On top of all this, the countries involved were to have no controls over these dealings, which would presumably operate under - gulp! - a system of mutual trust. 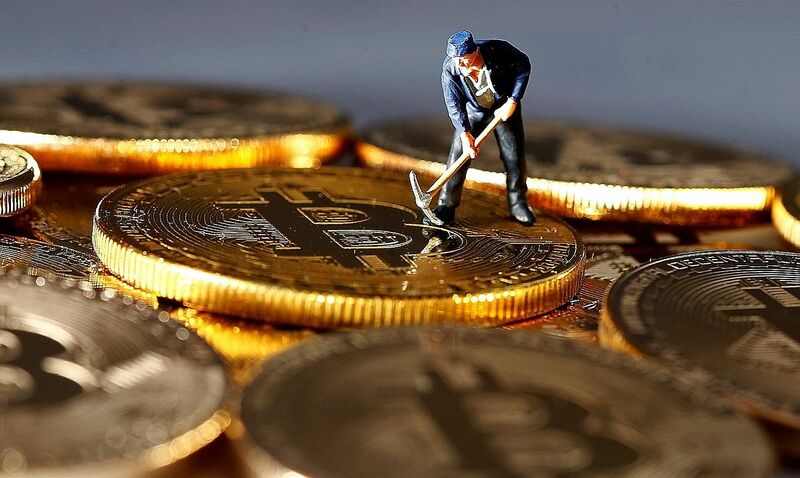 Last year, the Chinese mainland gave a lead to the world when its central bank prudently banned trading in bitcoin, ending what was becoming a bitcoin trading free-for-all that was running out of control. The rationale behind bitcoin is nothing more or less than the basic human emotion of greed. Sadly, in Hong Kong, this has led to foolish risk-taking involving very serious amounts of money. Doubts about the future of cryptocurrencies and their susceptibility to misuse render them a risky bet, but there's room for optimism. Finance Minister Apisak Tantivorawong has taken a cautious stance on the growing popularity of bitcoin and other digital currencies, warning that the phenomenon is quite risky. For example, over a 24-hour period, the value of bitcoin and the like can plunge as much as 20 per cent in global trading - a staggering one-day loss of around US$200 billion (S$264 billion) - while the benefits remain unclear. For Thailand, the trading value of bitcoin and similar digital currencies which have become popular is estimated to be worth around 300 million baht (S$12.4 million) per day. That's relatively small and has no significant impact on the economy and financial system at this stage. At this stage, it appears that the Bank of Thailand sees bitcoin and other digital units as similar to other financial instruments and securities traded on the stock market and other exchanges. As such, it feels, they should be regulated, since they are not legal tender. Since the supply of bitcoin and other digital currencies is tightly controlled, rising demand for the units means prices will skyrocket, but the fundamentals underlying them remain too unclear to justify any long-term gains. As a result, investors and speculators are subject to severe ups and downs in real time, while there is no legal recourse at this stage for those financially injured by such an investment. In addition, bitcoin and other digital units have become the choice of unscrupulous people and money-laundering networks taking advantage of the blockchain technology that underpins digital currencies. Since the identities of bitcoin owners can be hidden in the blockchain, the cryptocurrencies are preferred by those wanting to legalise their ill-gotten funds. Yet, the future potential benefits of the digital units as well as the blockchain technology should not be underestimated either, so the Thai authorities ought to be cautiously optimistic.